Developmentally appropriate care for adolescents and young adults with cancer: how well is Australia doing? Developmentally appropriate care underpins quality cancer treatment. This study aimed to describe how well Australian cancer services deliver patient-focussed, developmentally appropriate care to adolescents and young adults (AYAs) with cancer. 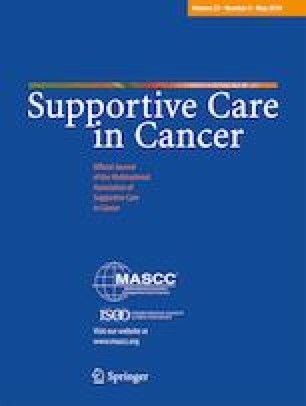 In a national, cross sectional study, 196 AYAs with cancer aged between 15 and 25 years at diagnosis reported their general experiences of the cancer care team (Cancer Needs Questionnaire), access to age-appropriate treatment environments (Cancer Needs Questionnaire) and frequency of psychosocial assessment (Adolescent Friendly Hospital Survey). Very positive responses were reported around engagement and communication with staff who were reported as approachable, friendly and trustworthy; 11 of the 14 items were positively rated by over 90% of respondents. In contrast, over 70% of AYAs expressed unmet need around their physical and social environments, whether in relation to the opportunity to be nursed in wards designed for AYAs, spend time with other young people with cancer, or talk to young people their own age; less than a third reported their needs had been met on the majority of these items. The frequency that specific psychosocial assessment domains were discussed was highly variable; responses suggested that AYAs were less commonly questioned about overtly sensitive topics. AYAs who experienced private consultations with health care providers (41%) were significantly more likely to experience thorough psychosocial assessment. Australian cancer services are generally communicating well with AYAs. There is room for improvement around more developmentally specific aspects of healthcare quality, such as psychosocial assessment, and around treatment environments that promote greater social interaction between AYAs. We wish to acknowledge the generosity of the Australian young people and their families who participated in this study and the contribution of Dr. Sarah Drew, deceased. This project was funded by a grant from Cancer Australia (APP1010977) in association with Beyondblue and Canteen through the Priority-driven Collaborative Cancer Research Scheme. Additional funding was gratefully received from Redkite, the Royal Children’s Hospital Foundation and the Victorian Adolescent & Young Adult Cancer Service, Peter MacCallum Cancer Centre and the Victorian Government Department of Health and Human Services and Operational Infrastructure Support Program. Dr. McCarthy is funded via a Murdoch Children’s Research Institute Career Development Award.